as this thing won't let me move posts as opposed to topics. Just went out and bought Iron Man 3 because I couldn't wait for my brother to do it (he buys every crappy horror B-movie out there, but refuses to buy good movies). I posted that with the implication that I watched it. Why else would I have posted it in the "Watched" thread? Apologies. The wording suggested it was merely brought as opposed to also watched. Bought Troll Hunter for £3 in Sainsbury's recently. 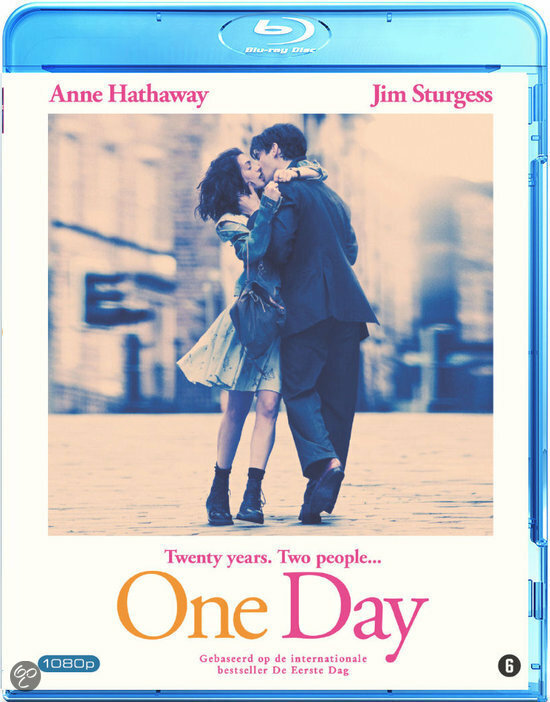 Pre-ordered THE BEST YEARS OF OUR LIVES on blu-ray awhile ago, it should arrive on my doorstep this Tuesday. Looking forward to watching it. No surprise that Armond loved if. Yes, he did indeed. Afraid my reasons are no more high-falutin' than having wanted to see it for a while, and that I thought that price was hard to beat. Jaws (1975) - Digibook Edition. Very out of print those days. After Gladiator this be my second Digibook release. My 9th movie in my collection directed by Steven Spielberg. Bed & Breakfast (1991). 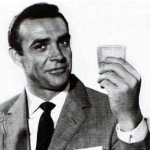 My first none Bond movie with Roger Moore. Promotion dvd with film edition of the Dutch translation of the novel from The Chronicles of Narnia: Prince Caspian. Audio: English Dolby TrueHD 7.1. French, Itailan & Thai DD 5.1 (640 kb/s). Subtitels: English, French, Italian, Thai, Dutch/Nederlands, Cantonese, Korean, Mandarin and Chinees. Audio: English Dolby TrueHD 7.1. French,German,Italian & Spanish Dolby Digital 5.1 (640 kb/s). Subtitels: English, French, Dutch/Nederlands, German, Italian, Spanish,Danish,Finnish,Norwegian and Swedish. The Matrix of Marketing: 2 trailers and pictures of promotion material. Audio: English DTS-HD MA 5.1. DTS: Japanese, France, German, Hungarian, Turkish, Dutch/Nederlands, Flemish/vlaams. Subtitels: Japanese, English, France, German, Hungarian, Turkish, Dutch/Nederlands. Extra audio Descriptive in France DD 2.0 at the top of the language menu selection with no subtitels. Audio: English DTS-HD MA 5.1. DTS: France, German, Turkish, Croatian, Iceland, Dutch/Nederlands, Flemish/vlaams, Slovak. Subtitels: English, France, German, Turkish, Croatian, Iceland, Dutch/Nederlands,Slovak. Audiocommentary with only English subtitel option. Mini Games: Once-ler's Wagon, Get Out Of Town,Truffula Run. SECONDS, blu-ray, $17. Had no idea Nimoy was cut from the film. Still excellent as ever, looks awesome. 3 Blu-Ray's from 2013, 1 Blu-Ray from 2011 and 1 dvd from 2009. De 3D disc bevat alleen de film. The 3D disc only include the movie. Audio: English DTS-HD MA 7.1. DTS 5.1: France, Dutch/Nederlands, ,Russian* & Flemish/Vlaams. DD 5.1*: Eesti, Latvian, Lithuanian & Czech. Subtitels/Ondertiteling: English, France, Dutch/Nederlands, Russian, Arabic, Eesti, Latvian, Lithuanian & Czech. Audio: English DTS-HD MA 7.1. DTS 5.1: France, Spanish*, Catalan*, Dutch/Nederlands, German* & Flemish/Vlaams. Vogels, Insecten, Slakken Bosverkenner/Birds, Bugs and Slugs Forest Explorer (5.20), Verrotting is goed/Rot Rocks (3.20) Camouflage van insecten/Bugs of Camouflage (3.40), Het Epic leven bij vijf centimeter/The Epic Life At Two Inches Tall (3.40), Mysteries van Moonhaven onthuld/ Mysteries of Moonhaven Revealed**, Trailer. Disc start with choose between Arabic, Dutch subiteld or audio, Flemish audio, English or France. Subtitels: English, France, Dutch/Nederlands & Arabic*. The disc start with subtiteld trailer for The Croods & Turbo. Vogels, Insecten, Slakken Bosverkenner/Birds, Bugs and Slugs Forest Explorer (5.08), Verrotting is goed/Rot Rocks (3.10). Trailer. For all discs count, you must go back to the menu if you whant choose for another audiotrack. Count of extra's are stil a litle bit disapointed, mabey it can be consider it be worse then with Ice Age 4, but it is more then Ice Age 3 or Rio. Pay € 2,50 more then i pay for those earlier this year.. Now i only need Ice Age 4. American/Dutch-Europe release like happend before with the Hobbit, but this time where the information about the movie only be in English and only copyright and rank Symbol be Dutch. Audio: English DTS-HD MA 5.1. English audio Descriptive DD 5.1 (448 kb/s). Canada France*, France, Italian, Spanish, Latino Spanish*, Portuguese DD 5.1 (448 kb/s). Subtitels: English, France, Italian, Spanish, Dutch/Nederlands, Spanish Latino, Portuguese, Danish, Finnish, Icelandtic, Norks, Swedish. Audio: English DTS-HD MA 5.1. English audio Descriptive DD 5.1 (448 kb/s). France, Italian, Spanish and vlnei? DD 5.1 (448 kb/s). Subtitels: English, France, Italian, Spanish, Dutch/Nederlands, Chinees*, Mandarin*, Koreans*, Danish, Finnish,Icelandtic, Indonesia*, Norks, Portuguese*, Swedish and vlnei?. The disc start with subtiteld trailer of Blu-Ray 3D and Superman Man Of Steel. Behind The Scene Features: The Greatness Of Gatsby,With and Without Tobey Maguire, The Swinging Sounds Of Gatsby, The Jazz Age, Razzle Dazzle: The Fashion Of The '20s, Fitzgerald's Visual Poetry, Gatsby Revealed. Delete Scene's: Introduction, 2 Delete scene's and and Alternate ending. Trailer from the 1926 version of The Great Gatsby. Subtitels: English, France, Italian, Spanish, Dutch/Nederlands, Chinees, Mandarin, Koreans and Icelandtic. DVD: The Brothers Bloom (2008). Be on my wishlist before i have BD player. Buying dvd for € 1,25, and i don't whant to wait til i can buy the BD disc for € 4,00 or less for both not having bonus material. Oblivion (2013). 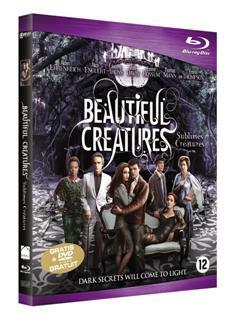 2 disc Limited Edition (BD/Soundtrack Promopack). Include Soundtrack promotion cd with 5 composed tracks of music. The complete soundtrack of the movie also be avaible on the Blu-Ray in DTS 5.1. Only other extra's are Making Off, Commentary track and Deleted Scenes. Insteed of this soundtrack promo i wish there release the bonus disc in my country too, but atleast it inprovement on the version without it. Audio: English DTS-HD MA 7.1. French & Italian DTS-HD HR 7.1. Spanish DTS 5.1. Subtitels: English, France, Italian, Spanish, Portuguese, Dutch/Nederlands, Danish, Finnish, Icelantic, Norsk, Swedish and Arabic. normal service will be resumed in 2014. 3 Bond 50 Boxed Sets...tempted to buy another 3 and resell them...should pay off for a couple of mine. Extra's not subtiteld, but the BD release not have any bonusmaterial and has very bad video quality. Audio: English DTS-HD MA 7.1. DTS: France, Dutch/Nederlands, Flemish/Vlaams. DD 5.1: Chinees*. Subtitels/Ondertitels: English, France, Dutch/Nederlands, Arabic* & Chinees*. Extra's in 3D of 2D: Delete scene's, VFX Progressions Feature & Trailer. 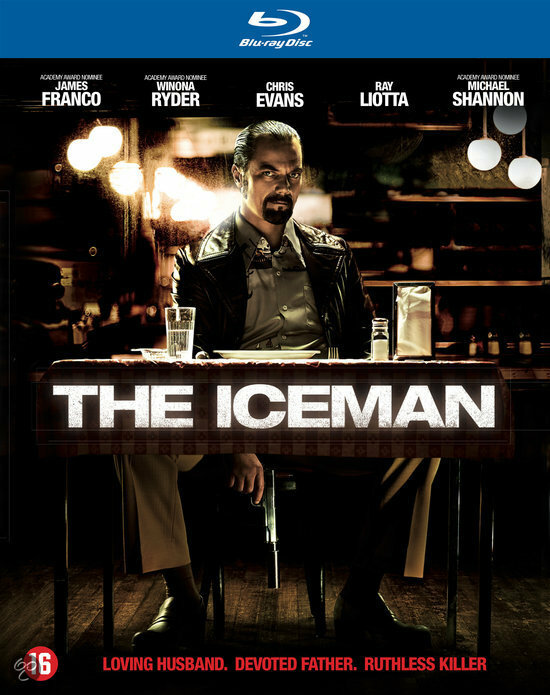 The Iceman (2012). 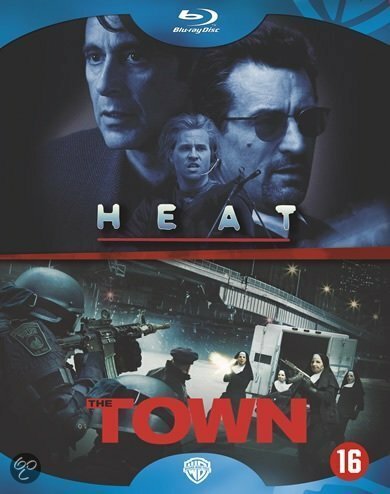 In The Netherlands a movie from 2013. The documentry and Hummingbird trailer not get any subtitle whyle the trailer from Killing Them Softly get automatic Dutch subtitle. Weird. The Last Stand (2013) - Steelbook. Happy that there be bonus material, but again special made Dutch release with no subtitle with the bonus material. whyle there feel the need to give the movie English subtitle too. It have been nice if the almoost 80 minutes of bonus material atleast have English subtitle. Two blu-rays. The Criterion edition of IT'S A MAD MAD MAD MAD WORLD, and the newly remastered ROBOCOP. I also want to get the Criterion blu-ray for FOREIGN CORRESPONDENT soon, maybe for my birthday. Recently bought Frankenweenie in Sainsbury's for £5. Really enjoyed Corpse Bride, so hoping for more of the same (and it's gotta be better than Dark Shadows, right?). Wish they had John Carpenter's THE THING, but I suppose I'll just grab that on Amazon or something. I approve! I finally got around to purchasing Escape From New York myself on Blu-ray a couple weeks ago. The Thing is one of my favorite films of all time. You can find it dirt cheap on Blu-ray as well, Python. DVD of TARGETS (1968) - Recommended by Largo's Shark. Thanks, friend. A 'Sainsbury's exclusive 4-pack' of the Jack Ryan movies that preceded the recent reboot; I already had The Sum Of All Fears, but thought £7 for the other 3 wasn't bad at all. Pleasure to be of service . Criterion had a flash 50% off sale yesterday. I couldn't pass that up. It has really been ages since I bought a solid film on DVD. I picked up the Zatoichi boxset from Criterion a while back... but besides that title I don't think I bought a Criterion DVD since at least 2008/2009. My interest in film kind of withered once I packed up my camera and screenwriting stuff, but for the price I couldn't say no. Not a bad deal, came in around $85 bucks. Would have got more, but the ones I really wanted had pretty much been wiped out by the time I heard about the sale. I should get the Criterion blu-ray of ERASERHEAD in the mail next week. I've only seen the film once, five years ago, so it'll be interesting to revisit that.